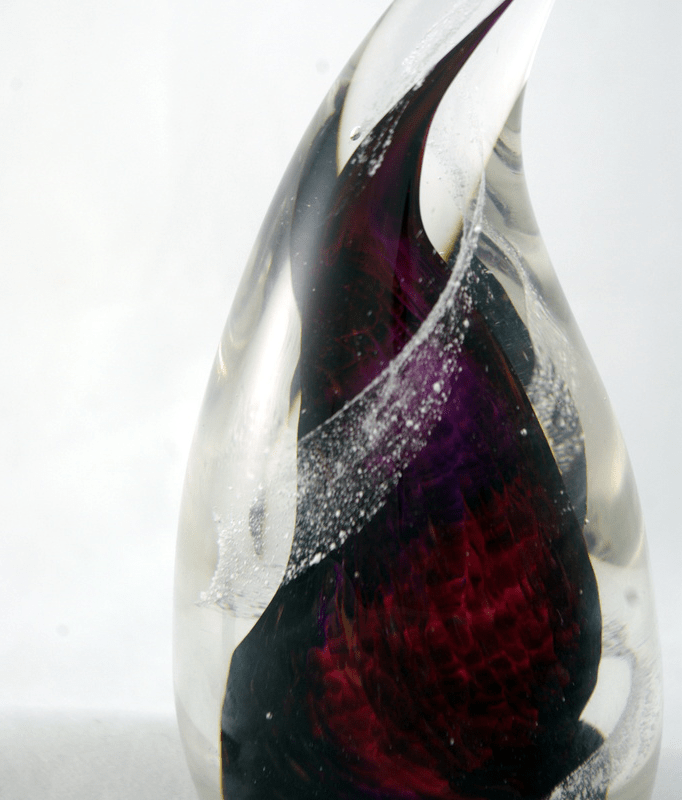 Our memorials encase the cremains of your loved one in glass. Each piece is custom designed with you and your loved one in mind. A new take on the classics. Choose the timeless elegance of art glass to store the ashes of your deceased. 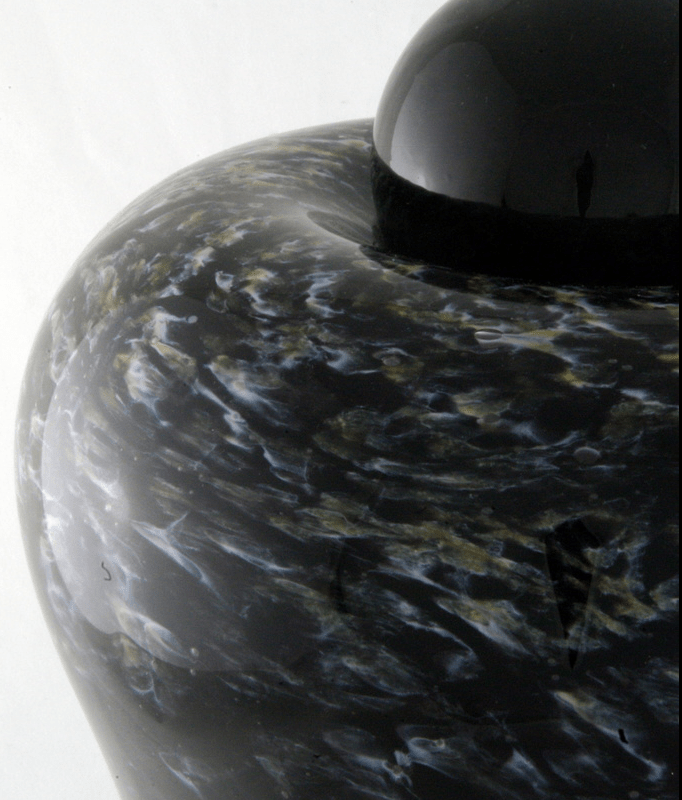 Our urns are available for purchase from our gallery or we can custom design one to capture what’s most important to you. We custom create every memorial after discussing color and form with you. In addition to custom requests, we can create memorial glass paperweights, hearts, icicles, stars, and organic sculpture. Pricing for memorials starts at $250. Can I watch you create my memorial? 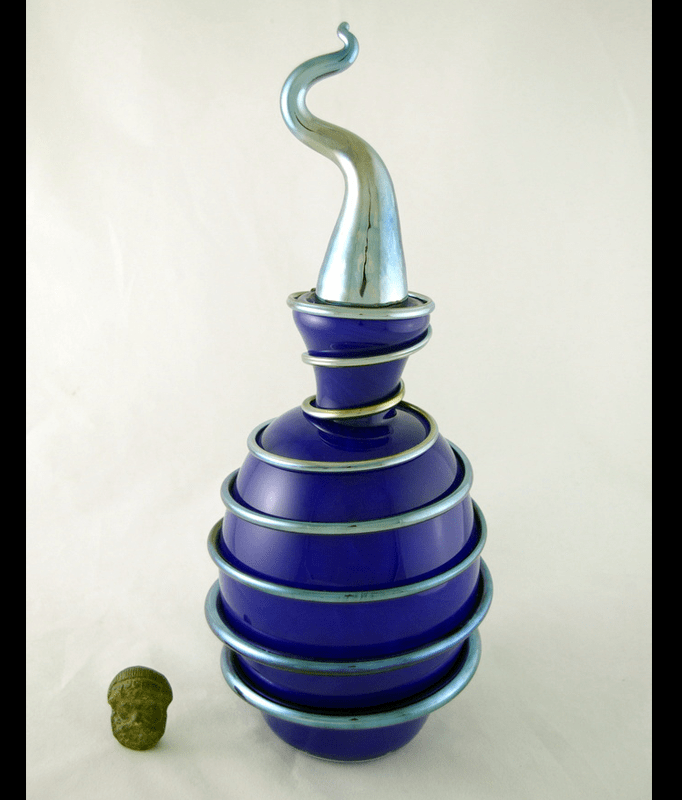 Please know that working with cremains and glass is a very real process, complete with all of the dangers and risks typically involved in glass blowing, only now at higher stakes. We, as glass blowers, acknowledge that glass breakage or failure during the transition from molten glass to a finished piece of art, though rare, does occur and we must start again. It’s for this reason the we prefer to solemnly create memorial glass without an audience but also see that you may desire or find solace in seeing the cremains combined with the glass and offer this to you for a 30% surcharge. What will you do with unused cremains or glass? We feel it’s most respectful to you and the deceased, for us to provide you with not only your finished memorial, but other glass that contains cremains as well. We are working with the memory of an important life, and will strive to treat it with the utmost care and respect. Our custom urns can be made to any size and are individually designed to carry on the memory of the ones we’ve lost. 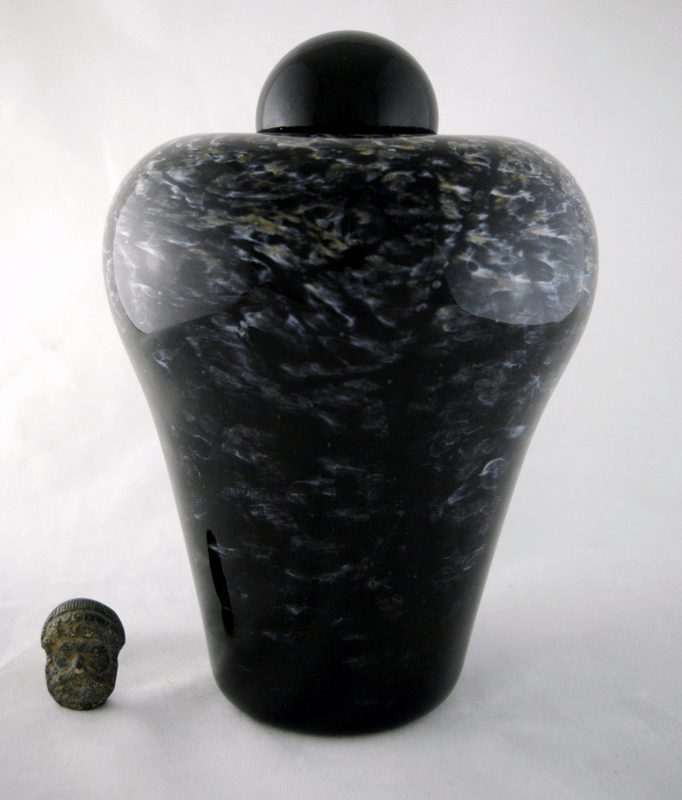 Pricing for urns begins at $400.